Charles Budinoff is the Genomics and Microbiome Sciences Group Leader at DuPont Nutrition and Health. Charles is a part of the Technology and Innovation Team driving research and development of new probiotics to improve human health and wellness. Prior to joining DuPont, Charles directed R&D groups at Algenol Biotech, an algae product development and manufacturing company. His teams were responsible for engineering the microbiota within algal production systems to maximize growth and minimize product loss. He also led pilot operations for developing processes to extract and purify algal-based products. He has 20 years of experience in microbial physiology, ecology, and genomics, with a special emphasis on understanding how different environments structure microbial diversity and how microbes influence overall system functioning. He has a master’s degree in Marine Science from the University Georgia on the characterization of aerobic and anaerobic bacteria inhabiting soda lakes and a doctorate in Microbiology from the University of Tennessee on the activity of bacteria and bacteriophage in coastal environments. K-12 science and mathematics education, graduate science and engineering education and the increased participation of women and minorities in science and engineering. Craig Muir serves as the Chief Technology Officer at Third Rock Ventures. In this role he leads the identification and integration of drug discovery and development technology platforms for many of Third Rock portfolio companies, as well as contributing to scientific diligence for investment opportunities. Craig also assumes active leadership roles in Third Rock portfolio companies, functioning as interim CTO/CIO through the first 12-18 months post launch. In 2010, Craig moved to Third Rock Ventures new office in San Francisco to increase the partnership’s access to key technologies and support west coast portfolio companies. 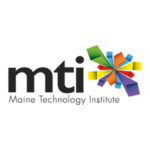 Craig has more than 25 years of technology development, implementation and application experience across the biotechnology and pharmaceuticals industries. 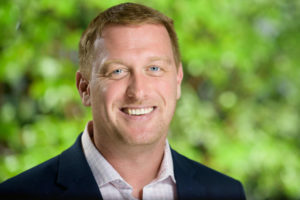 Prior to joining Third Rock Ventures, Craig was Senior Vice President, Technical Operations for Codon Devices, and also spent 12 years at Millennium Pharmaceuticals as Vice President of Platform Technology. 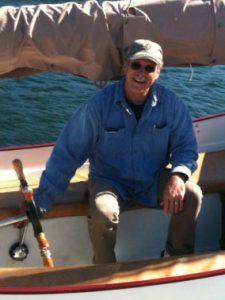 Earlier in his career, Craig served in a number of technology development and scientific roles at Genentech, Tularik and the University of Vermont. Craig holds a BS in Animal Physiology from University of California-Davis and is a pioneer in the fields of laboratory automation and technology in biotech and pharma applications. He has directed the development of, or collaborated on, technologies ranging from molecular biology, proteomics, bioassays and informatics to materials engineering, microfluidics and in vivo imaging for a number of biotechnology companies, including Millennium Pharmaceuticals (Takeda), Portola, xCellerex, Transform (JnJ) and many others. 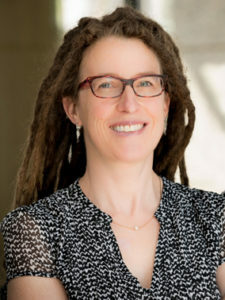 Dr. Katherine Pollard is a Professor at UCSF and Director at the Gladstone Institutes, where she leads an innovation hub focused on emerging technologies and informatics. She has published extensively in many areas of genomic research and bioinformatics, and her research group has contributed a large number of widely-used, open-source software projects in comparative genomics and metagenomics. Dr. Pollard has previously worked at UC Santa Cruz and UC Davis on research that spanned from developing computationally intensive statistical methods for analysis of microarray data with applications in cancer biology to sequencing the chimp genome, which she leveraged to identify the fastest evolving regions in the human genome..
Dr. Pollard earned her PhD in Biostatistics from UC Berkeley, is a fellow of the California Academy of Sciences, and was selected as a Chan-Zuckerberg Biohub Investigator. 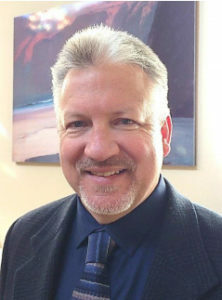 Gary Schroth is currently Vice President and Distinguished Scientist at Illumina where he direct the Core Applications Group based in San Diego. He obtained his Ph.D. in biochemistry from the University of California at Davis and has been working in the field of next-generation sequencing (NGS) for more than a decade as part of Illumina (and Solexa). In his research, Gary used NGS to study genomics, gene structure, expression and regulation and applies this to genomic projects in the fields of cancer, microbiology and infectious disease. Over the course of his career, Gary has published more than 95 peer reviewed research papers and holds 17 U.S. patents. Ashley Shade is an assistant professor at Michigan State University, co-appointed in the Department of Microbiology and Molecular Genetics and in the Department of Plant, Soil and Microbial Sciences. She studies the resilience of microbial communities, and wants to understand how microbiomes respond to environmental disturbance so that we can predict and manage their functions. Her lab’s approach combines quantitative ‘omics methods and environmental microbiology to address questions in field and laboratory systems. She currently studies the microbiomes of soil and plant-associated ecosystems. 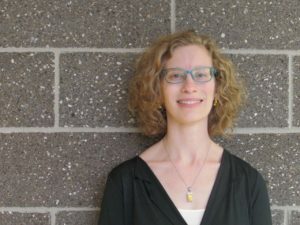 Ashley is an advocate of reproducible research and open science, and she has developed a popular workshop on microbial metagenome analysis (EDAMAME). She is part of the Michigan State Plate Resilience Institute, the Program in Ecology, Evolutionary Biology and Behavior, and the Great Lakes Bioenergy Research Center. Ashley received her Ph.D. from the University of Wisconsin Microbiology Doctoral Training Program in 2010. Afterwards, she was a Gordon and Betty Moore Foundation postdoctoral fellow of the Life Sciences Research Foundation at Yale University. 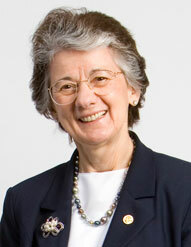 Tanja Woyke is the Microbial Genome Program Lead at the U.S. Department of Energy (DOE) Joint Genome Institute (JGI). She begun this position in 2009 and has since been responsible for shepherding thousands of JGI microbial sequencing projects through the pipeline and maintaining state-of-the-art methodologies and tools in an ever-changing sequencing technology landscape. Tanja also contributed to the implementation of a high throughput single-cell pipeline at the JGI for DOE user project. Her research interests have been focused on symbioses and more recently genomics of candidate phyla using single-cell sequencing approaches. 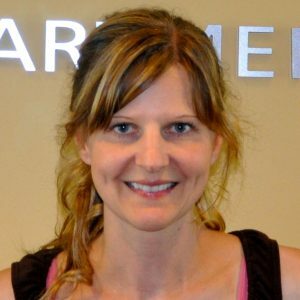 Tanja has four years of experience managing the JGI program. She has authored and co-authored over 200 scientific publications and book chapters. In 2011 she was profiled as one of Genome Technology’s Young Investigators. Tanja received her M.S. and Ph.D. degrees in Microbiology from Eberhard Karls University Tübingen, Germany. 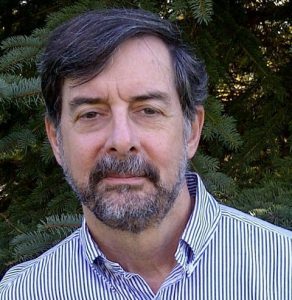 George Garrity is a professor of Microbiology and Molecular Genetics at Michigan State University and a co-founder and managing member of NamesforLife, LLC, a bioinformatics spin-off that was formed to commercialize proprietary terminology tracking and management technology developed at MSU. From 1996–2006, George served as Editor-in-Chief of Bergey’s Manual of Systematic Bacteriology, from 2005-2008 as vice-chairman of the Judicial Commission of the International Committee on Systematics of Prokaryotes, and from 2008-2014 as the chair of the International Committee on the Systematics of Prokaryotes. George is a core member of the Genomic Standards Consortium and founding editor and editor-in-chief of Standards in Genomic Sciences. He was also co-investigator on the Ribosomal Database Project (RDP). 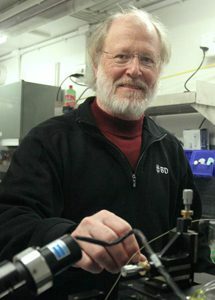 George is a Fellow of the American Association for the Advancement of Science and the Society for Industrial Microbiology and Biotechnology, Chair of the SIMB Publications Committee and president elect, and the 2011 recipient of the van Niel International Prize for Studies in Bacterial Systematics. Before arriving at MSU, George held a number of positions of increasing responsibility in the natural products screening program at Merck & Co. He was also one of the lead scientists on the Merck-InBIO agreement. George received his Sc.D. from the University of Pittsburgh. Ger van den Engh is Vice President for Advanced Cytometry at Becton and Dickinson BioSciences and was the founder of Cytopeia. Ger’s research interests include the use of flow cytometry in marine microbiology, quantitative cytogenetics, chromatin organization in the interphase nucleus, flow cytometry instrumentation, single-molecule detection by fluorescence, genome sequencing and mapping strategies, single-cell genomics. Ger has developed the MoFlo®, inFlux® and Jazz® cell sorters, holds over 20 patents and has authored or co-authored over 150 scientific publications. He held various research scientist and professor positions at the Erasmus University, the Los Alamos National Laboratory, the Lawrence Livermore National Laboratory, the University of Washington, the Cooper Union School of Engineering, and the Institute for Systems Biology. Ger is 2008 elected fellow of the American Institute for Medical and Bio-Engineering, recipient of the 2008 International Society for Analytical Cytology award for technical contributions to flow cytometry and cell sorting, and since 2010 a Howe Fellow of Becton and Dickinson.Ger received his B.S. and M.S degrees in Biophysics and Ph.D. degree in Medicine from Leiden University, The Netherlands. Kostas Konstantinidis is an Assistant Professor at the Georgia Institute of Technology. His research interests include environmental microbiology and genomics; computational approaches for studying the ecology and evolution of microorganisms; development of genomic and proteomic techniques to investigate and quantify in-situ important microbial-mediated processes; population and single-cell genomics; assessing the extent and value of biodiversity within natural assemblages of Bacteria and Archaea; biotechnological applications of microbial functional diversity; and environmental relevance of microbial diseases. 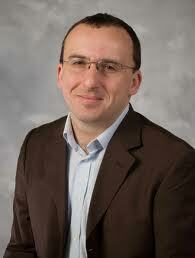 Kostas has authored and co-authored over 50 scientific publications and book chapters. In 2012 he was appointed to the Carlton S. Wilder Junior Chair in Environmental Engineering and received the Sigma Xi Young Faculty Research Award (Sigma Xi’s Georgia Tech Branch). He has also received the prestigious International Skerman Award for Microbial Taxonomy and the Distinguished Scientist Abroad Award from the Hellenic National Defense General (Athens, Greece). His PhD studies were supported by the Bouyoukos Fellowship. Kostas received his BS in Agriculture Sciences from the Aristotle University of Thessaloniki (Greece). He continued his Ph. D studies at the Center for Microbial Ecology at Michigan State University (East Lansing, MI) under the supervision of Prof. James M. Tiedje and was a postdoctoral fellow at the Department of Environmental Engineering at MIT (Boston, MA) under the supervision of Prof. Edward DeLong. 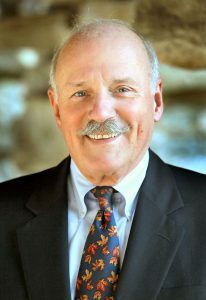 Robert C. Young, M.D. is President of RCYMedicine engaged in cancer-related consultation. 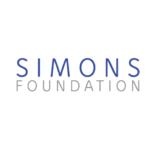 He formerly served as Chancellor of Fox Chase Cancer Center in Philadelphia, and for 18 years prior, as the President and CEO. Fox Chase Cancer Center an NCI designated Comprehensive Cancer Center includes one of the nation’s largest hospitals dedicated solely to cancer and the first such hospital in the country. He is internationally known for his work in the treatment of lymphoma and ovarian cancer. He is a past-President of the American Society of Clinical Oncology (ASCO), The American Cancer Society, and the International Gynecologic Cancer Society. Young was awarded ASCO’s Distinguished Service Award for Scientific Leadership in 2004 and was co-recipient of the 2002 Bristol-Myers Squibb Award for Distinguished Achievement in Cancer Research for his research in ovarian cancer. In 2013 he received the AACR Margaret Foti Award for Leadership and Extraordinary Achievements in Cancer Research. A medical oncologist, Young is the author of more than 400 peer-reviewed publications, and based on the number of medical literature citations, he was one of the top 400 scientist-authors in the U.S. for 1980-1990, according to the Institute for Scientific Information. Young served from 2004 to 2009 as Chairman of the Board of Scientific Advisors of the National Cancer Institute. He is past-chairman of the board of the National Comprehensive Cancer Network, a nationwide alliance of leading academic cancer centers dedicated to insuring the highest-quality, cost-effective cancer care and the National Cancer Policy Board of the Institute of Medicine. A fellow of the American College of Physicians, Young was elected to membership in the American Society of Clinical Investigation. He has served as a member of the subspecialty board on medical oncology for the American Board of Internal Medicine, and on the Experimental Therapeutics study section of the National Cancer Institute. Young served as an Associate Editor of the Journal of Clinical Oncology from 1987-2001 and currently serves as Chairman of the Editorial Board of Oncology Times. In 1995, he served as Chairman of the General Motors Cancer Research Foundation’s Charles F. Kettering Selections Committee.